Edge Visionaries will receive a special welcome package with a personalized gift from one of our music and arts programs and a monthly newsletter with content showing exactly how your donations are working for good. You will also receive complimentary tickets to ME special performances, events and experiences throughout the year. How would you like to pay? For annual or monthly membership please select both amount and frequency below. Chose your "thank you" perk! 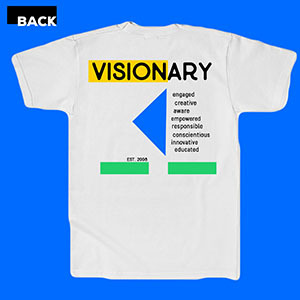 All members will be highlighted on our digital donor wall on www.themotivationaledge.org Yearly members receive a T-shirt in the size of their choice along with a thank you piece of art from one of our students and a ME sticker pack. 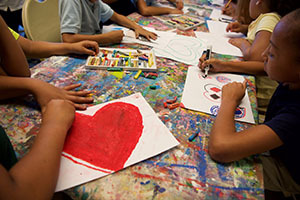 Monthly Members receive a thank you piece of art and sticker pack. OG The Motivational Edge t-shirt for yearly memberships. A The Motivational Edge sticker pack and "thank you" work of art from one of our students. 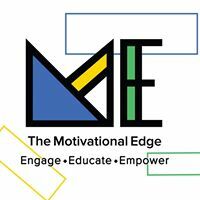 Donate 100% - Add 3% so that 100% of the donation goes to The Motivational Edge. The Motivational Edge has partnered with Network for Good to securely process your online credit card payment via Network for Good (tax ID 68-0480736). This transaction will appear on your credit card statement as "Network for Good." This transaction is subject to Network for Good’s Privacy, Security & Disclosure Statement and the Charitable Solicitation Disclosure.